OK, now you can say there’s nothing your iPhone can’t do. 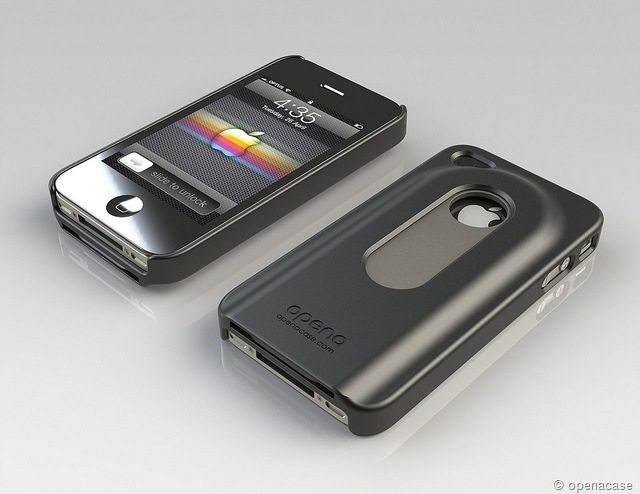 Opena Case provides a cover and a slide-out bottle opener. The Opena Case for iPhone is one of those brilliant little ideas that makes you wonder why it didn’t land on the market sooner. If your father is the sort who’s always looking for that elusive church key to open a bottle of beer, or maybe he’s more the cream soda type, then this iPhone case with a slide-out bottle opener is going to put a big fat smile on his face. It may sound like a novelty item, but it’s actually a nice-looking, well-made case conjured up by two mates in Australia. Over a few beers, natch. 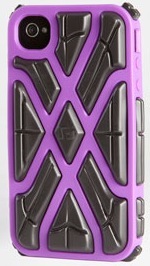 It comes in black or white and sells for $39.95 through Opena Case. 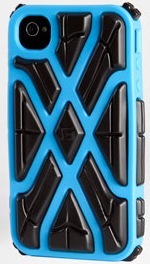 Oh, and the guys are now working on a third version, not yet released, called Playa Case. It slides out to reveal a small storage compartment designed to carry condoms. That might be more of a Valentine’s Day gift. Not for your dad. 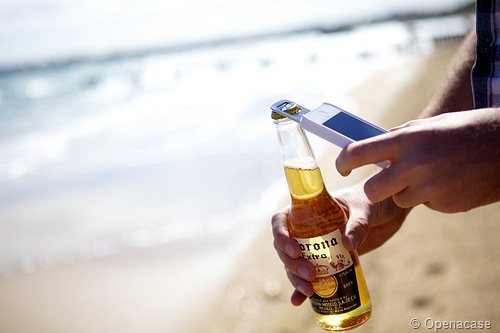 Opena Case is designed to not harm your iPhone — just to pop open a cold one. I know plenty of people out there who treat their iPhones with a fair amount of unnecessary roughness. 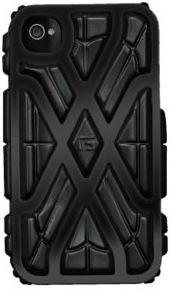 If your dad’s one of those guys, then he’s the perfect candidate for G-Form’s new X-Protect iPhone cases. They’re made with the same crazy tough material used in the company’s Extreme iPad sleeve that allowed it to be tossed out of an airplane and land unscathed. 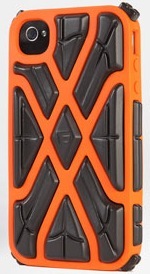 Don’t worry, this isn’t a klutzy, heavy duty shell for the iPhone, rather the svelte, flexible case stiffens while it absorbs the impact, then returns to its original pliable form — protecting in high style. 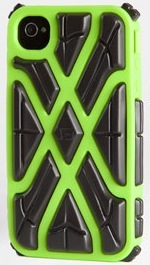 The case, designed for iPhone 4 and 4S, comes in a variety of bold colors, including green, purple, blue, orange, white and G-Form’s traditional black and yellow-and-black combination. It’s priced at $39.99 and available online at G-Form. The website can tell you if there’s a retailer near you.